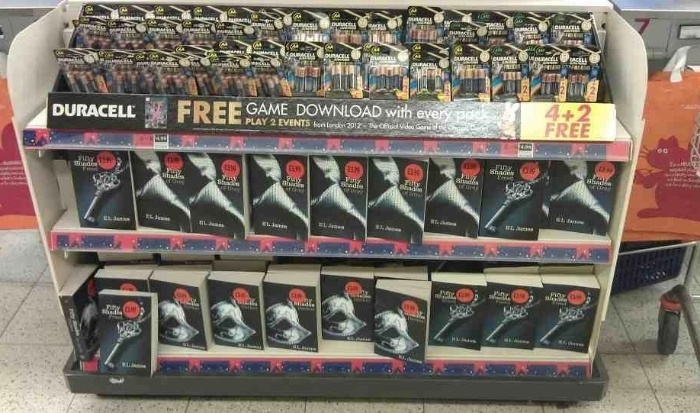 Over the past 24 hours a photo of the book's position on the shelves at Sainsbury's has been doing the rounds online. A shopper took this snap of the book beside a heaving display of Duracell batteries - the brand famed to last longer. Clever guerrilla marketing from our client Sainsbury’s or just a shelf stacking coincidence?